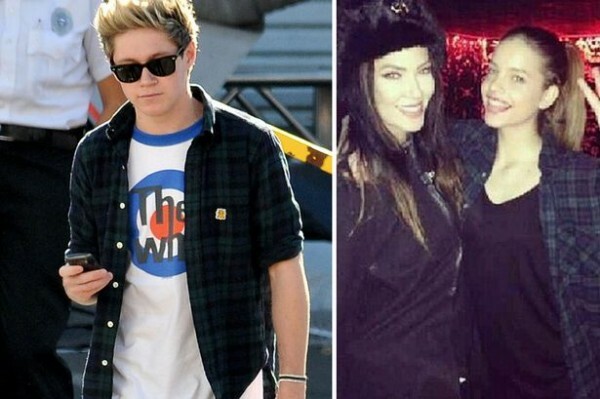 Is Barbara Palvin wearing Niall Horan's shirt amid split rumours? - Oh No They Didn't! Is Barbara Palvin wearing Niall Horan's shirt amid split rumours? It seems the romance might not be over after all…After it was reported that Niall Horan was back on the market after splitting from gorgeous model Barbara Palvin – she appears to have been pictured wearing HIS shirt. The Hungarian stunner is visiting London and posed for a snap with an adoring fan last night in a bar. Barbara, 20, is rocking the same dark green and blue checked shirt Niall has previously worn, a favourite of Niall’s during their recent Take Me Home world tour. Niall, also 20, has been enjoying his fleeting two-month romance with the Victoria’s Secret beauty but recently friends said their relationship had cooled. She had relocated to Paris to focus on her career while Niall underwent knee surgery to fix an ongoing complaint ahead of their stadium tour this year. The pair were first rumoured to be dating after they were spotted at the Everyman cinema in Belsize Park, North London, watching the Hunger Games sequel Catching Fire. they were also spotted at JLS' last every concert. Onlookers said the pair were very relaxed in each other’s company and seemed to have a good time together. Our source says: “Barbara came in first and was playing on her phone until Niall arrived. "He had a security guard with him, and they sat in the front row so nobody could turn around to see them. They must still be together then! lmfao at anyone thinking this is the same shirt.